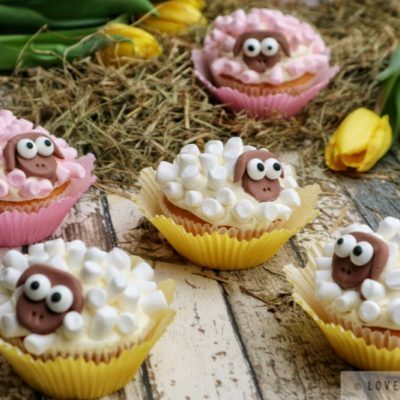 is a traditional recipe from Austria. 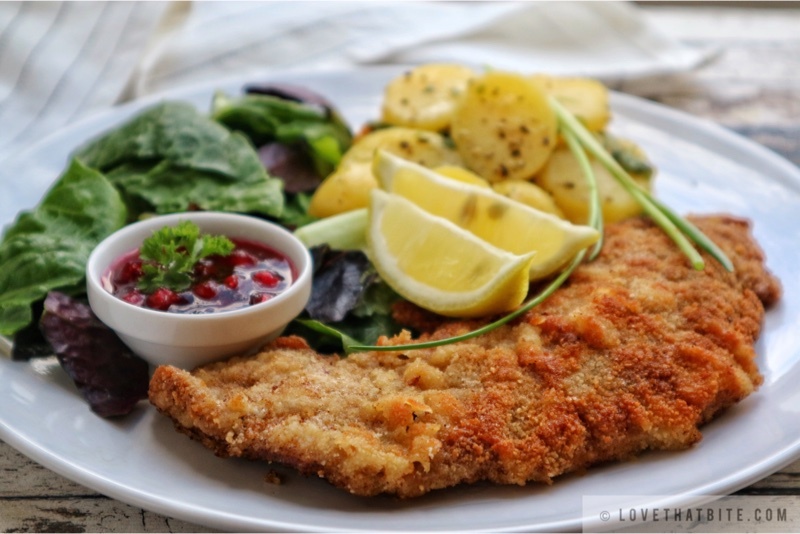 This breaded veal cutlet was browned to perfection: tender, crispy and yummy. 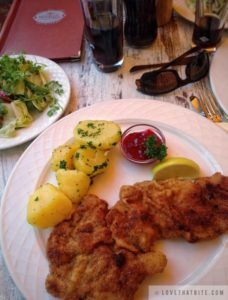 In Germany, you can find mostly Schnitzel Wiener Art, which is using pork cutlets instead of veal. 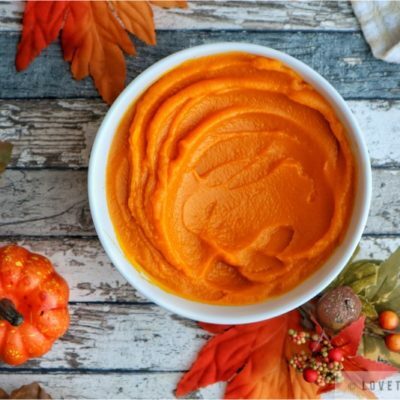 This dish usually served simply with lemon, cranberry sauce, and maybe a simple salad, Potato Salad or french fries. A year ago, I have an opportunity to visit Innsbruck the capital city of Tyrol in western Austria. 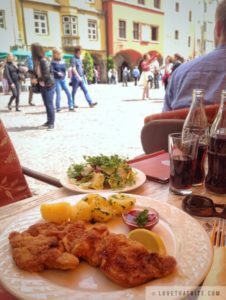 There, I got my experience to enjoy the real Wiener Schnitzel. Down here, you will see a simple plate of Wiener Schnitzel from that restaurant. It was served with humble boiled potatoes and salad, but it was really going through my heart if I see this golden fried treat. 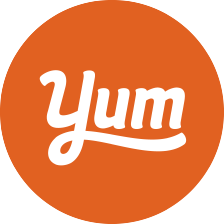 In fact, it’s one of the easiest, fastest, best recipes on the site. 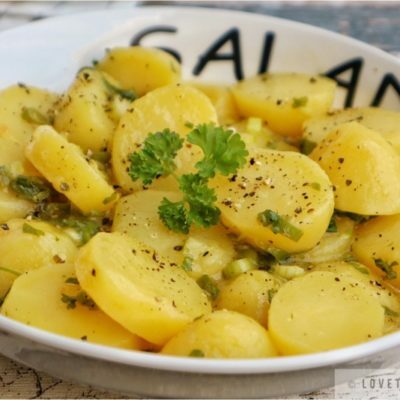 I hope you try this recipe, so you don’t miss out the authentic taste of Austrian Cuisine. Make sure to use high-quality, very fine breadcrumbs in the German language it calls Semmelbrösel. 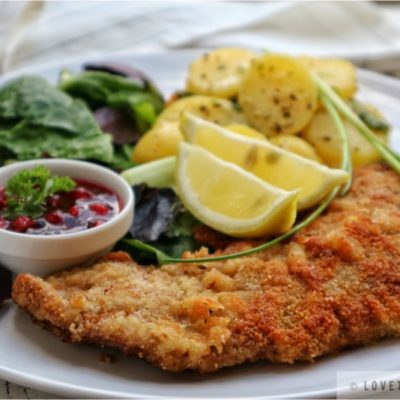 Genuine Wiener Schnitzel need to be fried in a frying pan, not in a deep fryer. 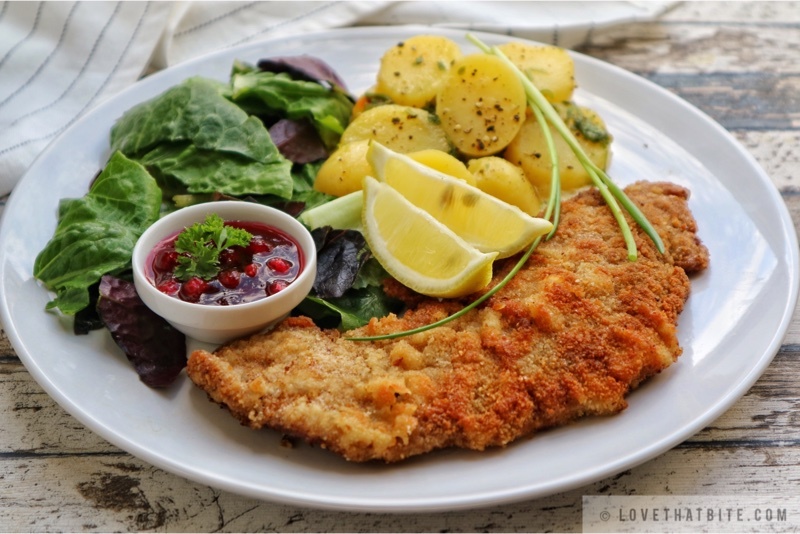 Also, the use of butter is essential to give the Schnitzel a typical “nutty” taste. 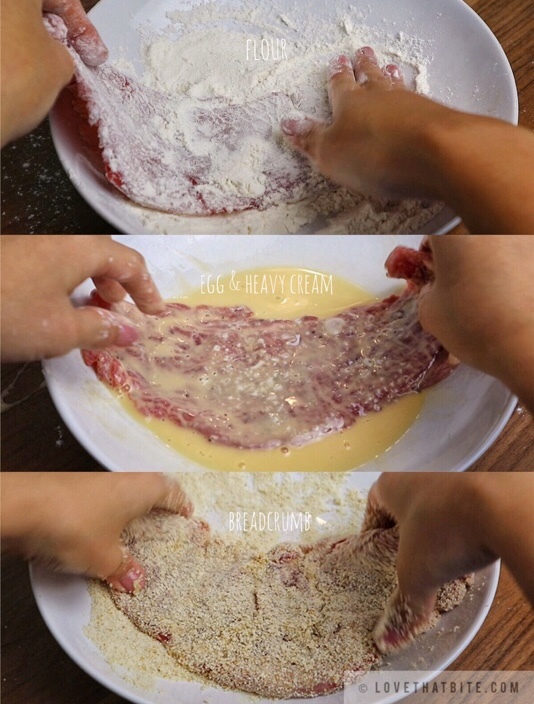 Even if you can buy a very thin cutlet, it’s important to pound your meat before coating and cutting it. Pounding makes the meat tender. 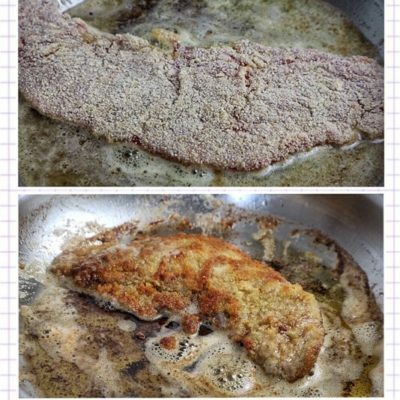 Season the cutlets with salt and pepper on both sides. 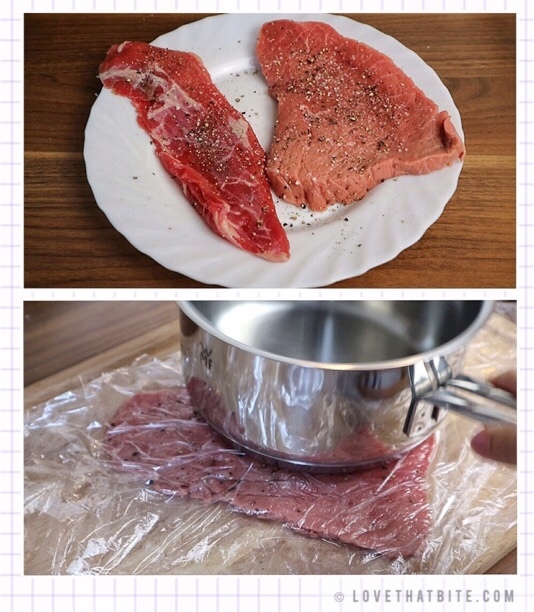 Pound meat thinly, place the cutlet between sheets of plastic wrap. Use a heavy, flat-surfaced pan to pound if you don’t have a meat mallet. Pound the meat evenly to 0,5cm thickness for best results. 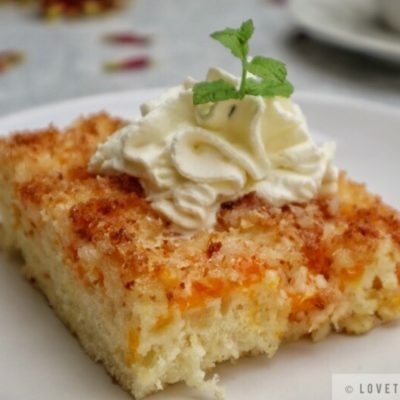 place the flour in the first dish, beat the egg and heavy cream and put in the second dish, and the breadcrumbs in the third dish. In a large skillet, add the butter and melt over medium heat. 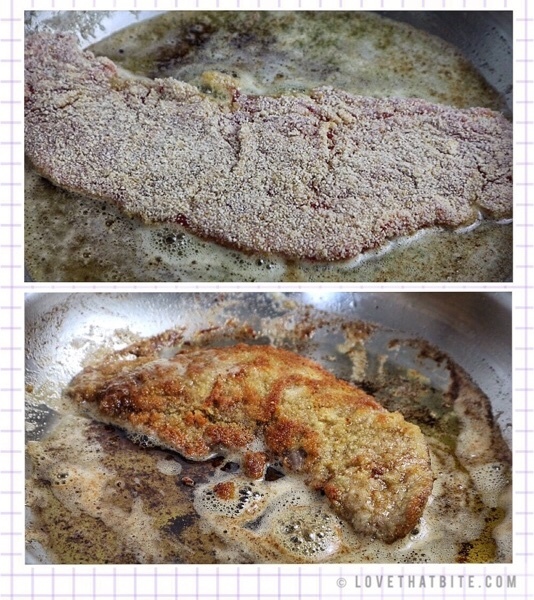 Dredge cutlets first in flour until the surface is completely dry. Dip in egg to coat, allow the excess to drip off for a few seconds. Roll directly in the breadcrumbs until coated. 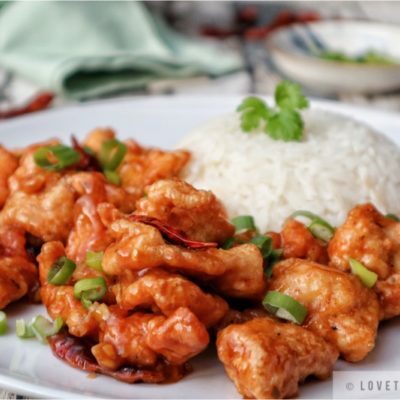 Immediately place meat in the pan with the hot oil. Do not crowd the pan. 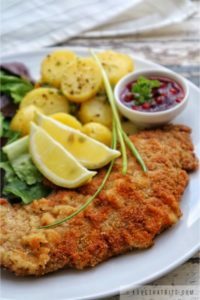 Cook the schnitzel in batches, if necessary. Fry for about 3-4 minutes on each side. Turn them over once and fry an additional 3 minutes or until both sides are golden brown. Remove from pan, allow the oil to drain off. 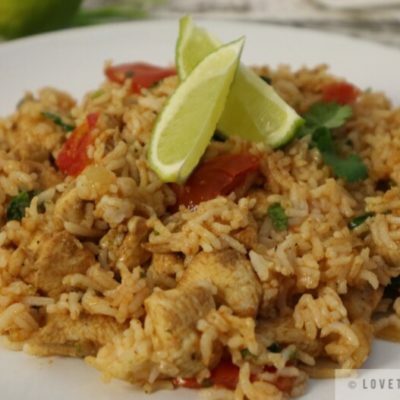 Serve with lemon wedges and some salad.